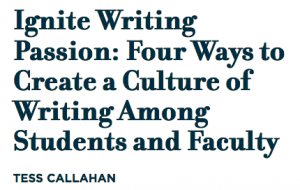 As the Creative Writing Coordinator at Newark Academy, Tess Callahan recommends four unconventional approaches for inspiring student writers—from launching a joint student/teacher writing challenge with the intent of sharing first drafts to teachers modeling their writing and revision strategies for students, from showcasing student and teacher writing on an in-house school blog to providing information about writing contests, publishing opportunities, and writing circles within the wider community. 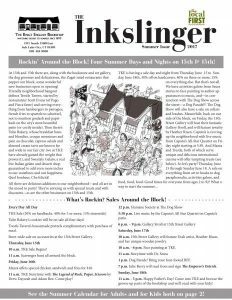 Find the article in the Spring 2018 Issue of the NAIS The Independent Teacher. 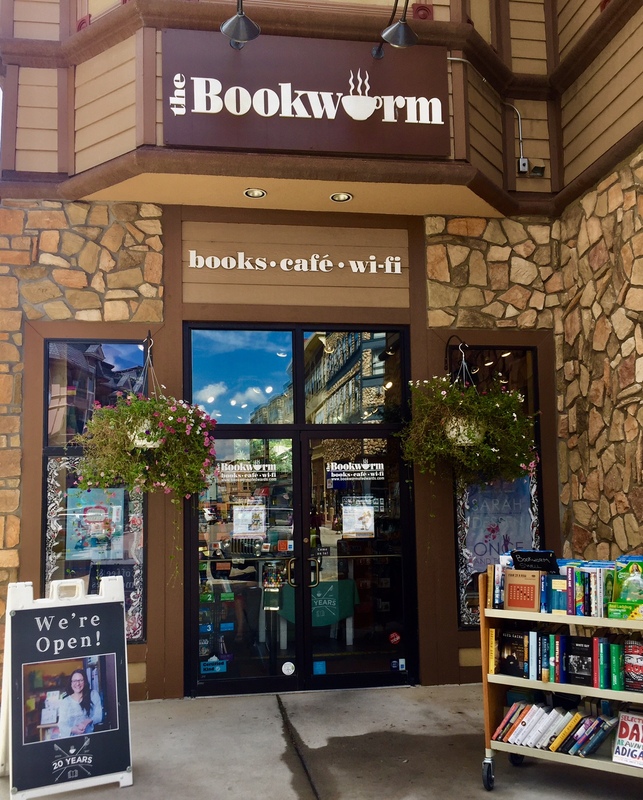 Today our cross country bookstore odyssey included the Bookworm of Edwards Colorado, part of the busy Riverwalk shopping center, which offers readers excellent book club and staff pick selections. 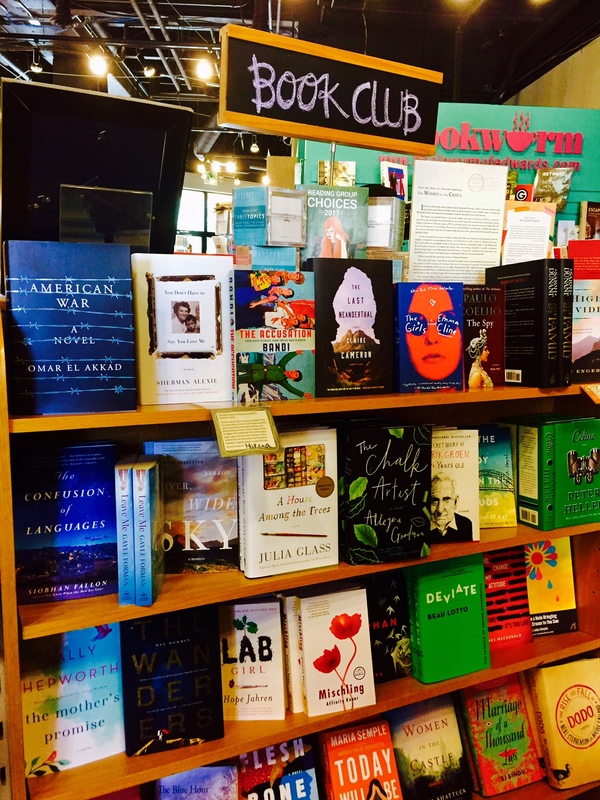 Of these offerings, we purchased a First Edition signed copy of Roxane Gay’s compelling new memoir, HUNGER. 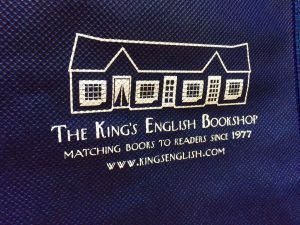 This little dynamo of an indie bookstore, founded in 1996, came from humble beginnings. It started in a retro-fitted van that traveled between coffee shops selling new books to “down-valley” readers. In 1997, a 700-square-foot store opened in Edwards Village Center. 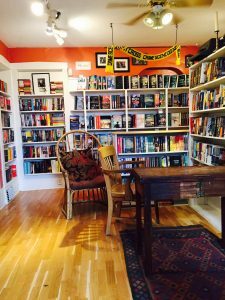 In 2002, Nicole Magistro was hired as a part-time bookseller, and, in 2005, she bought out one of the original owners. 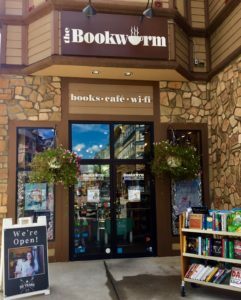 In 2007, the Bookworm moved to its current Riverwalk location (and opened the cafe), and it expanded again in 2010! 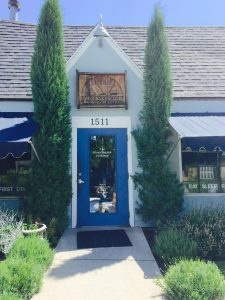 Read the full story (with more details on store founders Kathy Westover and Neda Jansen, and cafe founder Kristi Allio) here. 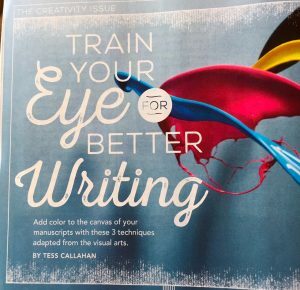 My article in the September 2017 issue of Writer’s Digest Magazine explores three ways to add color to the canvas of your manuscript by using techniques adapted from traditional visual arts training: emulations, thumbnail sketches and underpaintings. 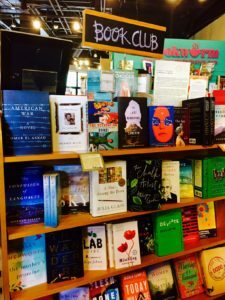 It also offers bits of wisdom gleaned from artistic masters and gurus John Gardner, Natalie Goldberg, Stephen King, Roy Kinzer, Ann Lamott, Pablo Picasso and Francine Prose. You can find the article on newsstands or here. Feel free to contact me with questions or comments. I’m always looking to expand my ideas. Happy writing! Grateful to writer, actress, producer, and book-lover Hallie Shepherd for drinking deeply from APRIL & OLIVER and sharing. Find more book, music and movie reviews on Hallie’s blog. April and Oliver is one of those truly special reads. 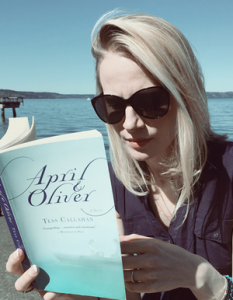 It’s the debut novel of author Tess Callahan (and to date, her only novel). Four years ago, I happened upon this book by chance, and it was a memorable read that landed itself on my keeper shelf. If you are looking for a moving novel about love, grief, growing up, messing up, moving on, and letting go, this subtle yet effective character piece may be one of the best books you’ve probably never heard of. First, how did I even end up reading this gem of a novel? Well, here’s the story: It was 2011 and as my fellow booklovers out there might recall, Borders Bookstore was going out of business. I wasn’t even aware that was happening until one day when I drove past the Borders store near my house while running other errands and I saw huge signs advertising up to 90% off. Um, hello? NINETY PERCENT off books? All other errands were quickly abandoned as I pulled my car into the Borders parking lot. I entered the store and grabbed a basket and proceeded to wander the store in shock, because the shelves were still quite full, yet almost everything was 90% off. That meant books were ranging mostly from 70 cents to $2.00. Let’s just say I was in heaven. 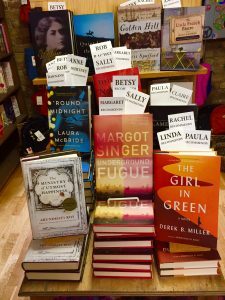 Because of that impossible-to-beat price and because my fellow shoppers were plucking books off the shelves and putting them into their own baskets (meaning now I couldn’t buy them! ), I decided that I could not be as discerning as I usually am about my book choices. I was going to pick books based on cover art, the back of the book description, and the first several sentences of page one. If I liked it well enough, it would go into the basket. We did go back to Borders get more that night, and we also drove to other nearby cities to check out their sales. 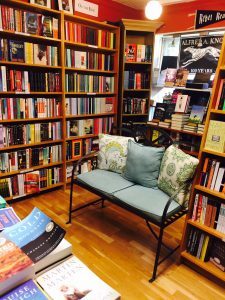 No other bookstore dropped their prices to ninety percent off until the shelves were almost empty, so it turned out that we were very lucky that our Borders happened to slash prices while so many books were still available. We bought well over one hundred books, many of which are still on my bookshelves waiting to be read. I thought to myself, Uh, oh, things aren’t looking so good for Buddy. But I think I’m hooked. 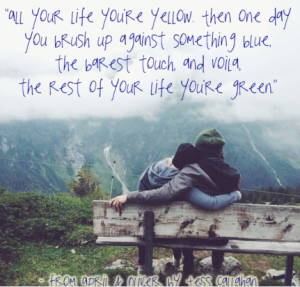 Here’s what the story is about: The book’s main characters – April and Oliver – have been best friends since childhood, but they’ve always had an undeniable chemistry. At one point they were completely inseparable, but they have now become practically strangers as adults, leading very different lives. Oliver is the responsible law student and April is the reckless one. Their paths cross once again though when April’s brother Buddy dies in a snowy car crash. As Oliver is drawn back to the mysterious April, it poses a threat to both his own carefully constructed life and his recent engagement to a woman who is much more sensible and responsible than April. This might sound like a classic love triangle story, except it’s not. Romantic love and sexual attraction and tension certainly does factor into the story but it’s ultimately a story about how our past and present connections and obligations collide. At times, it’s sweet. At times, it’s dark. And at times, it’s heart-wrenching. 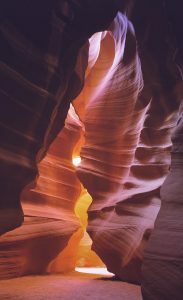 Callahan’s beautiful prose creates such imagery and mood, and the characters are well-drawn in their strengths and their flaws. I was lucky to find this book at the Book Sale of the Decade (or perhaps the Book Sale of My Lifetime), but I’ve since purchased it full price to give as a gift. 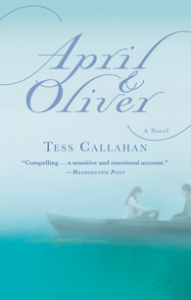 If you’re looking for a novel that is poignant, bittersweet, and well-written, I highly recommend April and Oliver. Drop me a line and let me know what some of your favorite lesser-known novels are. And let me know what you think of April and Oliver. This article originally appeared in Chicago-Woman on March 11, 2017. 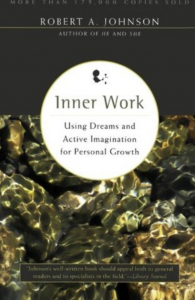 In his book, Inner Work: Using Dreams and Active Imagination for Personal Growth, Jungian analyst Robert A. Johnson offers a blueprint for using dreams to achieve personal goals. I’ve used this method for more than 15 years and it has never failed me. The nightmares we prefer to ignore are often the ones with the most potential to help us. 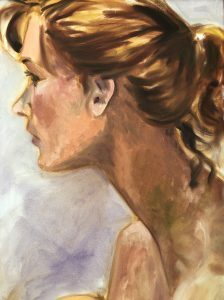 The key is to become attuned to our own unique dream symbols and to learn to interpret them as we would a new language. 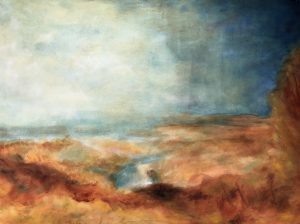 Once versed in that language, the meaning of dreams becomes apparent with little effort. In this interview with Daniel Ford of the Writer’s Bone podcast, we explore writing process, craft, and advice for aspiring writers. I also describe how my new novel came to me like a fly ball.